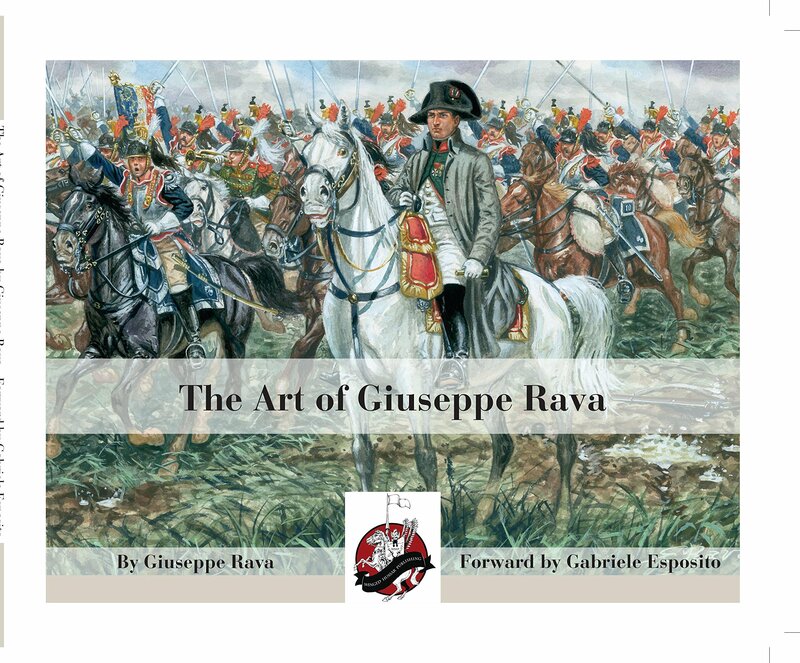 Book Review: The Art of Giuseppe Rava. I do love military art. Part of the reason I am writing a history blog at all is because of the drama I saw in paintings. 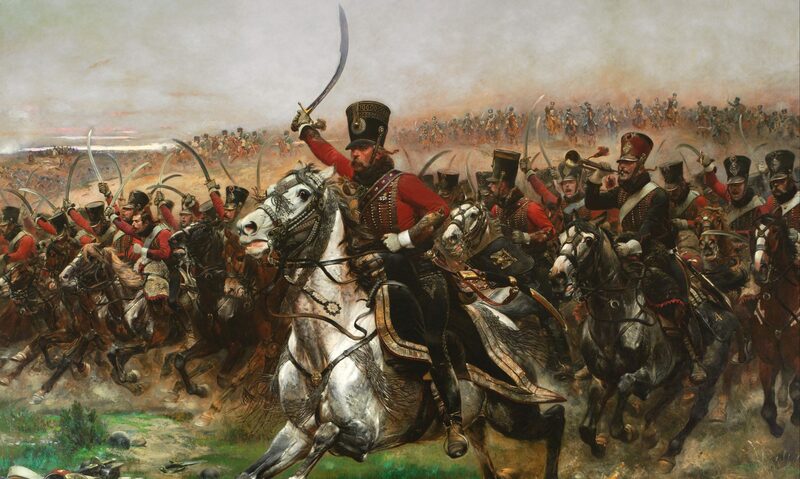 I have mentioned before that military painting is not as popular as it once was. Nevertheless it is not to be underestimated. Recently there has been an exhibition at the National Army Museum London of the work of battlefield artists. Commemorating combat and conflict in paint remains the most poignant homage to soldiering in my opinion. No one since the Late Angus McBride has made gouache paint sing such an atmospheric song like Giuseppe Rava. Each painting is a story, one that can be read, something is always happening, even when people are not shooting or killing each other. The light and shade, and the effect it creates in Rava’s pieces evoke so strongly an element of the story that one might be able to in places hear what cannot be heard and smell what cannot be smelled. Much like McBride, Rava’s strength lies in depictions of cold steel and forgotten civilisations, which he imbues with an immediacy and hot blooded warmth that would make one believe he had just seen the image he has created. The best military illustrators and artists can see a moving scene unfold and freeze it at the most dramatic or poignant moment. In this book, time and time again you will be able to see those moments, where time has suddenly been stopped and recreated. The book, a neat, clean looking production, is light and easy to put on a shelf. There is a very generous and thoughtful introduction by author Gabriele Esposito, who has collaborated with Rava on several publications. I appreciated very much his comment about how military history without the art is a sad thing. Format wise there is almost 200 paintings. About half are familiar to me from Rava’s work for Italeri and Hät miniatures. I adored that artwork as a kid, I was inspired by it, I copied it. I loved how scarred his shields were and I marvelled at his powers of perspective when rendering soldiers charging towards the viewer. His bravery with composition made me want to emulate those luging spears and rushing warriors with my pencils. They brought the action to life. There is no explanatory text accompanying the plates. Only titles. To be extremely picky I think there should have been some sort of supporting explanations beside the art. In most of the other military art books I have, this is the way the paintings are presented, but although I prefer the relationship between word and visual, the lack of text doesn’t detract from the excellence of the illustrations. The paintings are separated by era, starting with antiquity and going down into the mid 20th century. The selection highlights Rava’s versatility over a vast range of subject matter, from the ancient Egyptians to the world wars. Standout amongst the selection I feel are: The elevation of a Byzantine emperor; a model of quiet dignity and imperial grandeur. The battles of Ravenna and Ivry are favourites of mine, as are some of the Greco Persian subjects, I think the alternate view of the flag raising at Iwo Jima is good for its fresh perspective, also the novelty of the charge of the Italian Cavalry in 1917, plus I do rather like the painting of Wellington’s Staff in 1815. A must for fans of historical art and illustration, especially, fans of Rava’s work and those enthusiasts who love a good action packed battle scene.